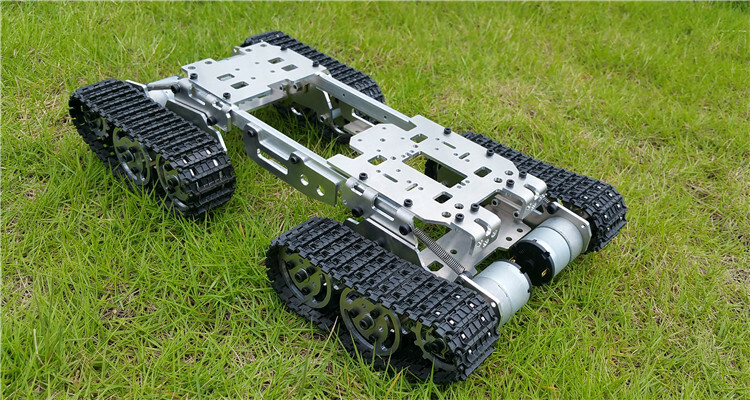 This tank chassis, body and gear train and independent suspension system are CNC metal. delicate and beautiful, strong stability, with 4 strong powerful motors. 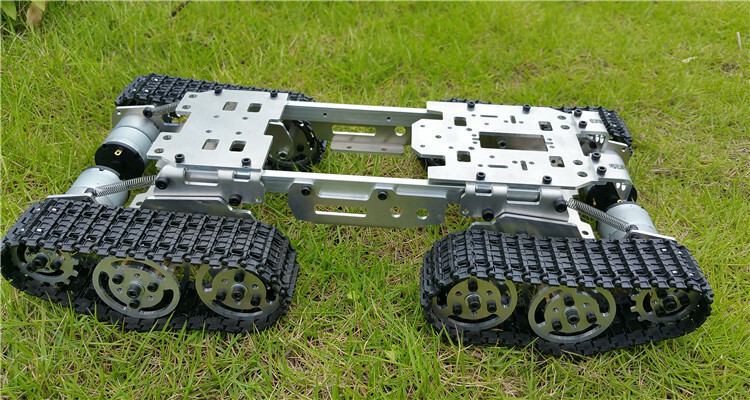 The tank can move backward, turn left turn right, circles, smooth operation, running smoothly. 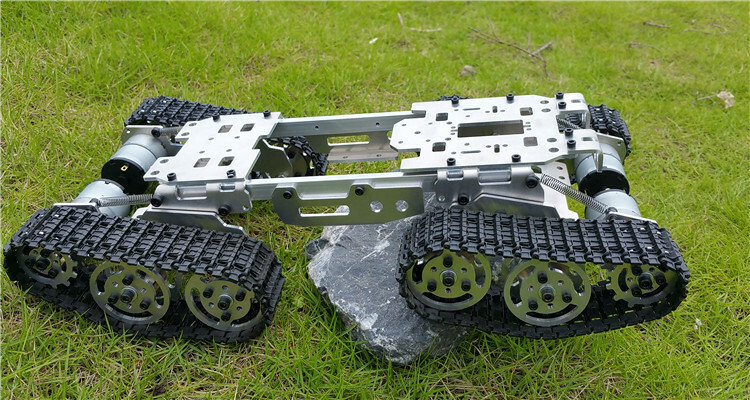 The chassis with independent suspension shock absorption system at the same time, to make it run on uneven road surface, can easily cope with the fuselage intermediate obligate a steering gear mouth install steering gear and the wide flat chassis platform provide enough space for installation.